The term perfect practice refers to a method of training that ensures continual growth and improvement, so that when applied consistently over long periods of time, anyone can reach a level of mastery in any subject. "I have found that no matter what field you study, music or sports or chess or something else, the most effective types of practice all follow the same set of general principles"
Ericsson compares purposeful practice with what he calls naive practice, which he describes as "essentially just doing something repeatedly, and expecting that the repetition alone will improve one's performance". Set a stretch goal for your practice. This is something that you can't quite do yet but could achieve by the end of your practice session. An example of this might be shoot 30 free throws in a row. The reason for this type of practice goal is to have a benchmark to reach that identifies if your practice has been a success. Focus completely on your practice. In other words ensure you're free of distractions. 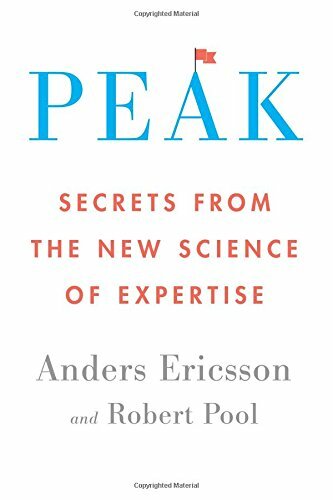 As Ericsson states: "You seldom improve much without giving the task your full attention". Receive useful and immediate feedback. This allows you to identify if you've done something wrong immediately so that you can correct the error. You need to be able to know what you've gotten wrong as soon as possible and, to know how to fix it. It seems simple enough, but many people spend hours practicing a poor technique, or incorrect action. Get out of your comfort zone. In some ways this aligns to your stretch goal (point 1 above), the idea being to continually push the limits of your skill. Getting out of your comfort zone seems to be one of the most important factors in rapid improvement. Ericsson describes it this way: "If you never push yourself beyond your comfort zone, you will never improve". Repeat, reflect and refine. Step 5 culminates the 4 earlier steps in a method on continual improvement. You repeat the practice approach, reflect on what works well and what doesn't, then refine your technique. This approach allows you to maximise the efficiency of your practice and, in doing so, improve much faster. 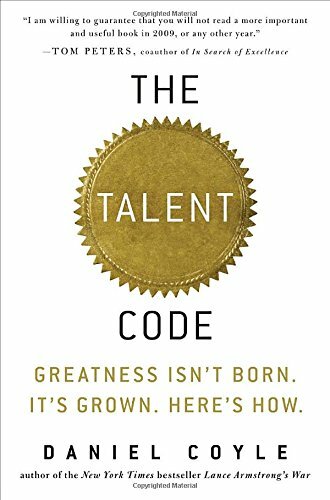 Ericsson's research is the basis for the 10,000 hour rule, made popular by Malcolm Gladwell. But according to Ericsson, for most people 10,000 hours of practice will not lead to expertise. The reason? Most of undertake naive practice. To get value out of your 10,000 hours and, to give yourself the greatest chance of becoming a world-class expert in your chosen field, your regular practice must constantly stretch and improve your exisiting skills. In other words, you must apply deliberate, purposeful, perfect practice. Why is deliberate or perfect practice important for good education and life outcomes? Perfect practice, as described above, offers a critical benefit to both teachers and students. It provides a clear process by which improvement in any area can be attained. The purposeful practice approach that Ericsson outlines (and has seen in action with thousands of experts), can help students to have a clear understanding of the principles to apply in order to improve in any area they are struggling with. Equally, as a tool for teachers, it provides a proven method of learning that teachers can use to support the success of their students. Ericsson himself describes the perfect practice model as being most effective when used with coaches or teachers as they can help to ensure each of the principles are applied. Good coaches will naturally set practice goals, refocus individuals whose attention is wandering, provide constructive feedback, and push people to train at their limits. The best coaches will take this a step further by looking for continual improvement in their methods through the repeat, reflect, refine approach. There's no question that the principles of deliberate or perfect practice can be taught to students. Simply explaining the difference between naive and perfect practice would make a good start. But perfect practice is an action, not a theory to be understood alone. 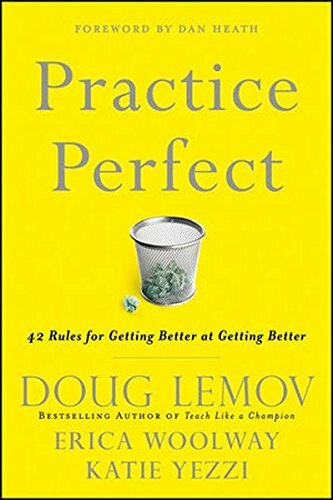 The book 'Practice Perfect: 42 Rules for Getting Better at Getting Better' (Lemov, Woolway, Yezzi. 2012), offers a useful handbook for the day-to-day application of the principles of perfect practice. 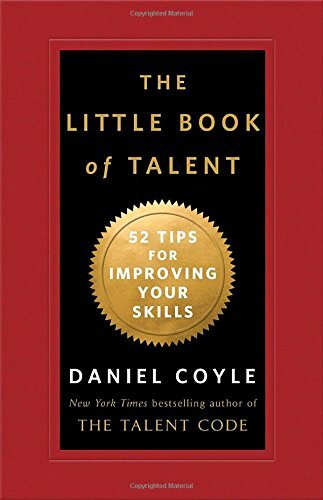 While the book uses mainly examples of how to improve performance as a teacher, the 42 rules can be easily used to support students to improve through better practice techniques. Teachers also have the opportunity to guide student practice by assigning homework or tasks that help students to apply the perfect practice approach. For example, setting a specific stretch goal to be achieved as homework (and demonstrated in the next class) might support students to think about how they'll apply the other practice principles. Educators talk increasingly about the need for students to have the right mindset when it comes to education challenges, but this needs to be supported with practical skills and techniques that can be applied to the learning process itself. Passion Arena's programme is structured to support the self-belief and mindset of students, but also to give them practical tools that can help to deliver confidence that future success can be attained. Perfect practice offers a great example of where a positive (growth) mindset can be proven valuable, simply by applying some clear and effective rules for learning. To get an idea of how we introduce our non-cognitive skills and, in particular perfect practice, click the button below to watch a relevant Passion Arena episode. Want to find out more about deliberate or perfect practice? If you'd like to dive further into understanding perfect practice, we recommend the following books. Click on the titles for more information. Below you'll find a number of videos related to perfect practice. Note the striking similarities in the approaches to learning and mastery provided, from three speakers who come at practice from three very different perspectives. Below you'll find links to academic papers related to perfect or deliberate practice. While we hope the studies below prove useful, if you have a specific area of practice you want to address, we recommend searching Google Scholar.